Coming home as an adult may not always be easy. Especially if the circumstances surrounding your return are not all that pretty. 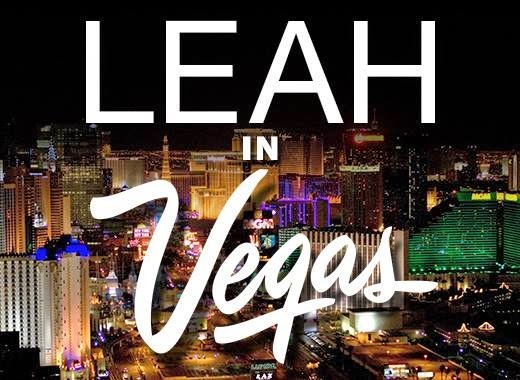 In Leah in Vegas, Leah is forced to return to the place she tried so hard to escape where she’s forced to reunite with a damaged mother and the newfound confident former best friend. In Kara Ayn Napolitano’s daring script, Leah, a twenty-nine year old woman, is brought back to the house she grew up in to live with her mother as stipulation for her release from jail. Only a day into her stay, Leah grows stir crazy looking for a way out to travel to see her daughter in Los Angeles. Leah convinces her childhood best friend to take a trip to Las Vegas as cover-up to head to Los Angeles. Along the way we learn about Leah's history and her desire for escape and reunion. Napolitano’s script is a very difficult overall theme to present on stage. Fortunately it's written specifically. Napolitano slowly reveals Leah's secret of kissing a minor, though it's believed that was the extent, but as soon as it's subtly figured out, your opinion on the character quickly shifts. It's not until the end do we discover why Leah did what she did, but regardless it may be too late for audience redemption. Leah is a strong character and her dark secret is almost disappointing. She becomes a despicable character. Yes, the age difference between the two characters is extreme and what we see makes it appear mutual, but regardless, it's difficult and upsetting to process. Many of the characters discuss the rumors and articles about Leah's story but the law speaks louder than her truths. Jenna D’Angelo as Leah is brimming with passion in her performance. Her likeability and presence on stage allows Leah to be such a strong character. D’Angelo gives an incredible and strong performance despite your opinions on the character. Leslie Marseglia as Brenda brings out a loveabley neurotic performance as the former best friend. Marseglia serves as the much needed comic relief. Victoria Bundonis plays mother Mary Anne to an extreme. The relationship between mother and daughter is quite interesting as they both have different approaches to the world of the play. Their lack of chemistry works to an extent but coming from two different places hurts their overall arc together. Kristin Skye Hoffman does a great job establishing a clear world and guiding her ensemble through it. Hoffman has an incredible design team of Tyler M. Perry with lights and set and Tamara Geisler and Phoebe Halkowich tag teaming with costumes. They bring added spark of life to the dreary atmosphere. 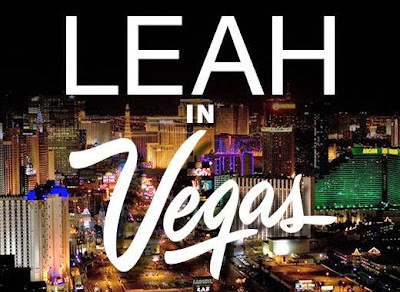 Leah in Vegas is a strong script with a strong lead actress. The circumstances within the play are a hard topic to handle but Kara Ayn Napolitano does it with good intention.